Bail Bonds Honolulu: How Realistic is Sneaky Pete? How Accurate is Sneaky Pete’s Portrayal of the Bail Bond Industry? If you’ve followed along with our blog for any amount of time then you’ve probably seen that we like to highlight instances in which bail bond agencies are portrayed on television and in movies. In the past we’ve looked at the character Robert Cherry from Quentin Tarantino’s Jackie Brown and others. The show that is perhaps getting the most attention recently is the Amazon Prime original series Sneaky Pete. Starring Giovanni Ribisi, Margo Martindale, Peter Gerety, Shane McRae, Marin Ireland, Libe Barer, and Michael Drayer, it is a show with a with pretty interesting premise, and as a matter of fact that’s the topic of today’s post. Keep reading to learn more! Sneaky Pete follows Marius, a con man who gets out of prison only to find himself hunted by the vicious gangster he once robbed. With nowhere else to turn, Marius takes cover from his past by assuming the identity of his cellmate, Pete, and then “reunites” with Pete’s estranged family — who have no reason to suspect he’s not their long-lost loved one. This is a multi-faceted show with plenty of great characters that are easy to get invested in. Interestingly enough, the aforementioned “vicious gangster” is played by none other than Bryan Cranston of Breaking Bad fame (who also co-created the show and serves as an executive producer). It’s a show that delves into the stories of each of its characters, giving them the time that is necessary to get to know them and understand what makes them tick. From there, it explores conflict as Marius interacts with (or perhaps deceives is a better word) them. The kicker, of course, is that the family that Marius is conning owns their own bail bond agency. Generally speaking, people have nothing but good things to say about Sneaky Pete. It manages to feel like a family drama, a heist show, a mystery, and a thriller all at the same time while also managing to keep characters grounded. If you’re the type of person who appreciates a show that sets up its plot carefully and puts characters in interesting positions, you’ll like this show. Each character makes interesting choices that stay far away from common cliches and the nature of the show is that it will pretty much always keep you guessing about what is coming next and whether or not what you’re seeing is some part of Marius’ elaborate scheme. Season one of the show currently holds a 100% fresh rating with a 92% audience score over on Rotten Tomatoes. Over there, Matthew Gilbert sums up the show perfectly by saying that it “is relatively easy to follow, and, more important, it’s a lot of fun.” We couldn’t agree more! Season two fared similarly and holds a 90% fresh rating on the Tomatometer with a 93% audience score. Perhaps the best news of all is that since it’s streaming, all episodes are available to watch. In other words, you can binge the entire first two seasons right away and take in the entire story pretty easily. With a recently announced third season on its way before too long, you won’t have to wait to find out what else is in store for Marius and the rest of the Bernhardt clan. Production on season three started just a few weeks ago so it’s likely that we’ll see the third chapter of this story in early 2019. Is the Bail Bond Industry Portrayed Accurately? We’ve written in the past about how often the bail bond industry is portrayed in a negative light. 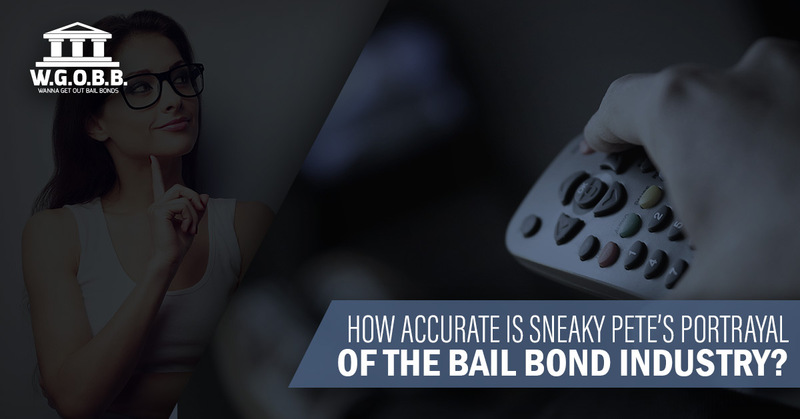 To be more specific, the truth is that the industry is often portrayed unrealistically and this is one of the reasons that so many people think that bail bondsmen and bounty hunters are the same thing. At the end of the day, past portrayals have left quite a bit to be desired. Sneaky Pete is a little bit different. It does depict the inner workings of a bail bond agency and it can show it realistically. (Note our emphasis on the word can.) We say this because some of the day to day aspects of bail bond agents are shown in a way that’s accurate. Of course there is some extra drama that’s added, but what kind of television show would it be if there weren’t? To sum it up, perhaps the best way to look at it is like this: there are a number of cop procedurals out there that show the daily lives of police officers and detectives. There are parts of those shows that are realistic and others that are done to make the show more exciting to watch. Our opinion is that there’s nothing wrong with that and we’d recommend Sneaky Pete to anyone who is interested in a well-written and wonderfully-acted television show that is anything other than the same old drivel. Are you looking for an affordable bail bond company on Oahu? The team at Wanna Get Out Bail Bonds has you covered. No matter the time of day or night, no matter the situation, we are here to lend a helping hand during a difficult situation. Whether you are trying to facilitate your own release or bail a loved one out of jail, we’d be glad to help. Contact us today to get the help you need and make bail fast!